Durian production line Conveyor Systems are builded with Belt Conveyor, the belt is food grade material and the frame is 304# stainless steel which is widely used for food grade conveyor. 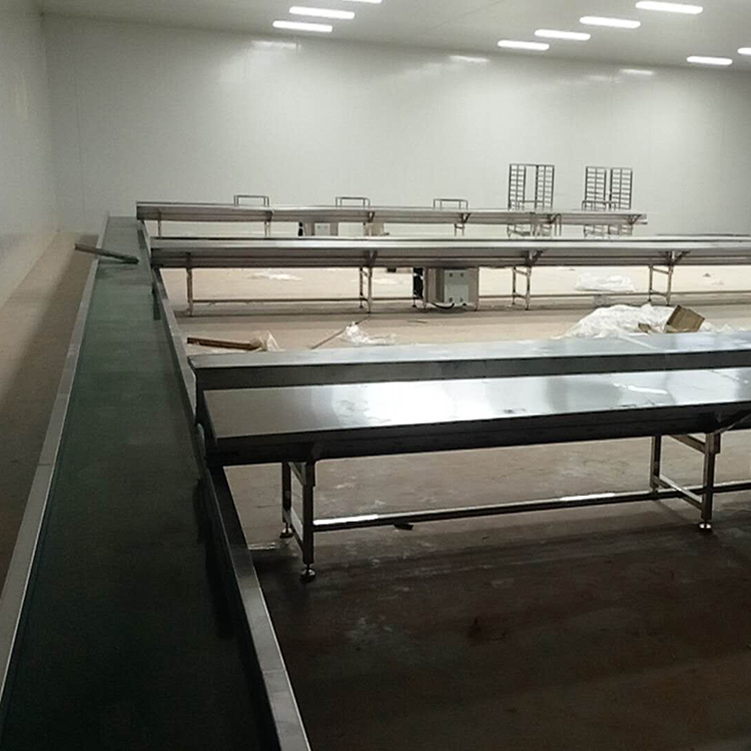 At the meantime, we also supply the storage shelf for this production line. Our company supply full set supporting for the production line. Please contact us if there is any interests to our Assembly Line/production line.